My friends always ask me for denim recommendations, whether it’s a new brand to try or the latest styles to add to their wardrobe for the new season. The past year I’ve had the same answer: cropped flares. We saw the trend surface about a year ago, and it’s still going strong and gaining major approval among a variety of brands. That said, I wouldn’t be doing my job if I didn’t have my eye out for the next new detail or silhouette on the market. While cropped flare jeans are still worth the investment, there’s a detail that’s making waves within the trendy design. I’m calling the new style shadow jeans. Name a couple of your favourite denim brands (I’m sure J Brand and Citizens of Humanity come to mind), and I bet they are already endorsing this detail. So what are shadow jeans? 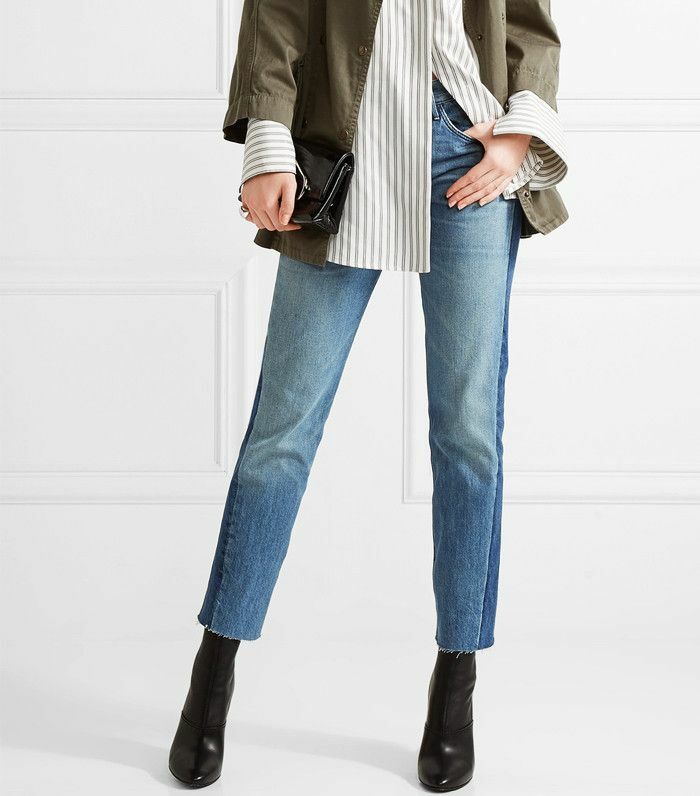 They are your typical cropped flare jeans with a shadow or as one of my co-workers described it a “paper aeroplane–looking” shadow at the hemline. The darker treatment, which is in the shape of a V, starts at the hemline and goes up the leg. Need a visual? Keep reading to meet the latest trend in denim. Shop my favourite shadow jeans below. Up next! These nine outfits that prove high-waisted jeans are super flattering.